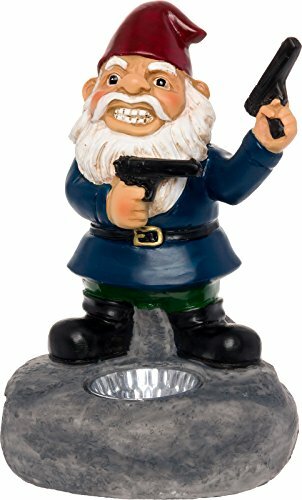 Gift giving for gun lovers can never be better than this gun mount. It’s magnetic, easy to mount and use, and works really well with a lot of different gun brands and models. It’s made from quality materials so you’re guaranteed it won’t easily fail in performance and style. It’s easy to install in the car and home too. Make your purchase worth it today. 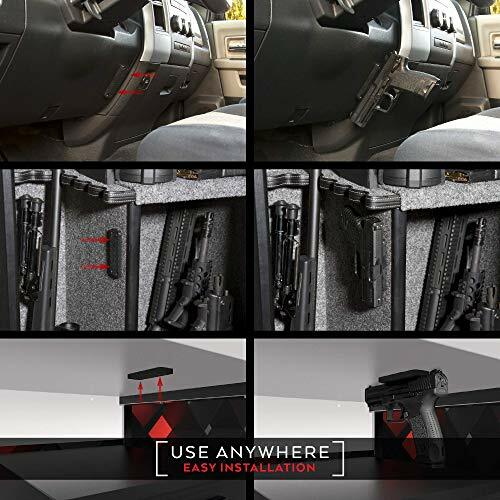 Are you looking for a way to be able to store your gun in your car and home in a way that it is quick and easy enough to access, but discreet enough to not get attention? 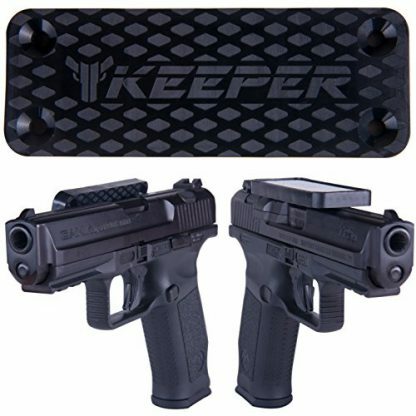 This magnetic gun mount from KEEPER MG is your answer. You will no longer need a separate and specific holder for your firearms. 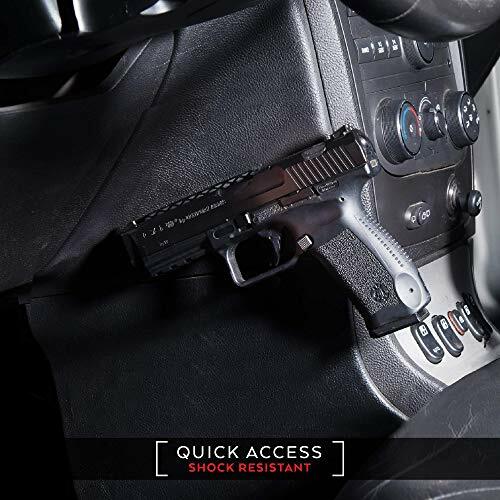 This magnetic gun mount can hold any gun with any metal surface. 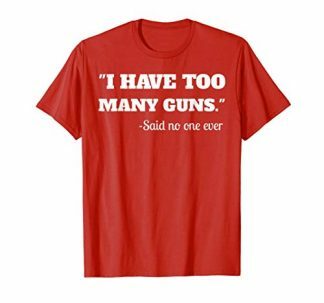 It gives an unlimited option for firearm storage. It is so easy to install and can work well in your office, in the car, in any rooms of the house. 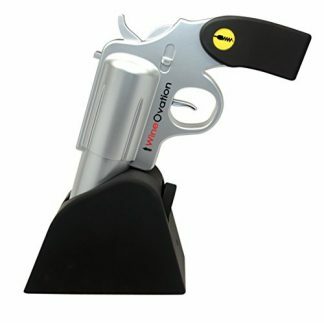 Made with the highest quality N35 Neodymium magnets that are 35 pounds rated, this magnetic gun mount can firmly hold almost any gun type and model. 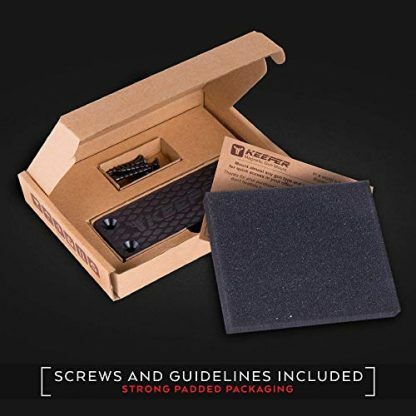 Installation is easy and versatile with four self tapping screws included in the package and the countersunk screw holes on the surface for screw mounting, or the option of using strong double sided tapes that work well with its flat, rectangular, metal back surface. 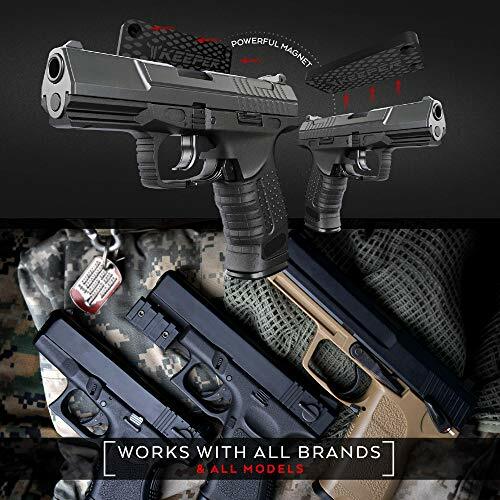 It is strong and durable with its single piece metal design and it is covered with thick, high quality rubber coating to prevent any scratches on the gun’s surface. It has a very firm grip in keeping your firearm straight, with its unique four magnet setup, but it will not magnetise the gun due to the alternating north and south pole orientation of the magnets. Also, it has a high tech Halback Array Setup that clears the back of the magnet from the magnetic force, thus preventing any interference with electronics. 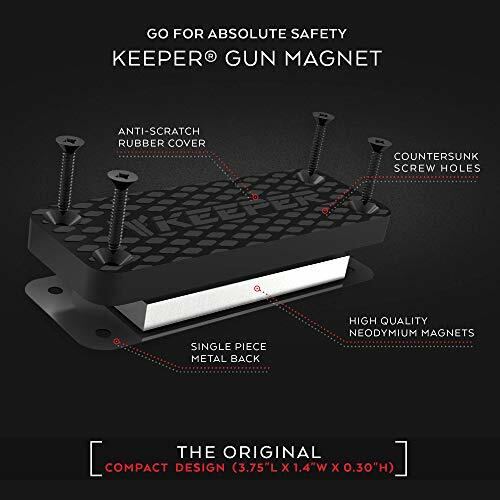 With more than 40,000 satisfied customers, the KEEPER MG Magnetic Gun Mount is proven to safely hold your firearm in place in any place, in any condition. What else can I say? This one is a sure keeper.